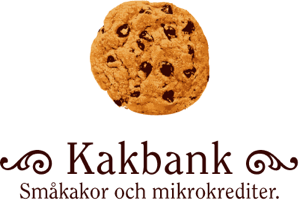 It was in Gothenburg that the love for microcredit and sweets laid the foundation for Kakbank. We meet every month and combine these two pleasures at Peter's home. Kakbank Gothenburg also work together and lend to the nurses in Eastern Congo: Afia-Fev. They do a fantastic job and we are very proud to work with them! To purchase materials for the bakery. To buy raw materials for jewelry shop. Sometimes we receive updates from the people we lend to. Here's the latest one, from Leona Feliciana in Guatemala. Read more reports. Please feel free to email us at peter at kakbank dot se!